Need a new air conditioner? Then why not go for an energy efficient unit. Here in Fort Worth and surrounding areas, we often get boiling hot summers, so air conditioning systems are essential for keeping us comfortable during that time. In the average home, around $2000 a year is spent on energy bills. More than half of that energy is used towards cooling and heating the home. Make a difference to your energy bills by making the right decision and get an energy saving AC system installed. 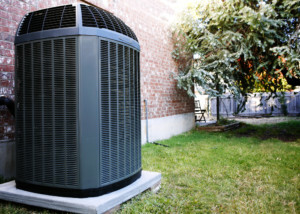 An air conditioner replacement with a new high-efficiency HVAC system can save you a lot of money when it comes to utility bills. A new high-efficiency system can offer an annual fuel utilization efficiency rating of over 90%, whereas older systems will operate at around 65% AFUE. Not only do these new energy efficient units help the environment, but also after a year of having it installed, it’s practically paid for itself. ● Programmable Thermostats – All high-efficiency systems come with programmable thermostats. This provides remarkable control over the temperatures in different parts of your home. In all homes, you always get those rooms that are a lot colder or hotter than the others, so zoning can help to combat this while saving you money. If the programmable thermostat is used correctly to suit your home, it can save you in energy costs and also improve your comfort. Programmable thermostats often come with apps that you can get on your smartphone or tablet so you can use these to control the air conditioning unit even when you are out. ● Superior Air Flow – Energy efficient systems have variable speed motors that work to provide a steady airflow. The better the airflow, the better the regulated temperature. It also helps to prevent mold and remove air impurities so that you are living in a much more pleasant and safe environment due to the enhanced filtration system. ● Comfort Control – Have maximum control with a new energy efficient unit. Why cool a room that is unoccupied? It pointlessly uses up energy and will also add cost to your utility bill. Have temperature control and save some money by only using the air conditioner in the rooms you are in. This new AC installation also allows you to have a temperature that is maintained at a more constant level, with more even heating, superior humidity control, and a more consistent airflow. This is all thanks to the modulating gas valves, variable speed technology, and other modern advances. ● Increased Resale Value – By having a high-efficiency system installed you can increase the value of your home. The quality of a home’s HVAC system is something that potential buyers will look out for. If you have an energy efficient system installed, and you have properly maintained it, it could even help your home to sell faster. ● Peace and Quiet – In these modern high-efficiency systems, a sound absorbing material has been used, so there is no noise while they are operating. An experienced contractor should carry out high-efficiency air conditioning installation, as they will ensure that the system is installed perfectly and fits your home seamlessly. ● Longer Operating Life – When these energy efficient systems are properly maintained, they won’t often need extreme repairs. This is due to its minimized on and off cycle. ● Environmental Impact – When it comes to energy efficient HVAC systems, they not only save you money, they are also better for the environment. Compared to a lot of older AC units that produce agreenhouse gasses, these high-efficiency units use ⅓ less fuel. Do your part to reduce your carbon footprint. ● Tax Rebates – The US Government encourages homeowners to invest in energy efficient solutions. Tax rebates may be available depending on the installation and the size of the unit. 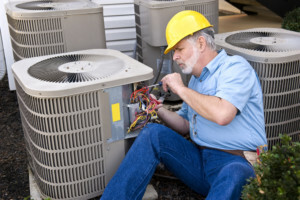 Most AC systems, if they have been well maintained, should last you for around ten years. If your system is over 20 years old, it’s definitely worth considering a new replacement. Over time, older systems may begin to work less efficiently resulting in higher energy bills. A new high-efficiency system may be a big investment, but it is certainly worth it.